Bone broth has quickly become one of the most popular health-boosting additions to the kitchen table over the past 3-4 years. But it’s not a new health fad. In fact, throughout history societies have used bone broths extensively in their cooking. From chicken soup to beef stew, bone broths were a staple of traditional diets in nearly every culture. 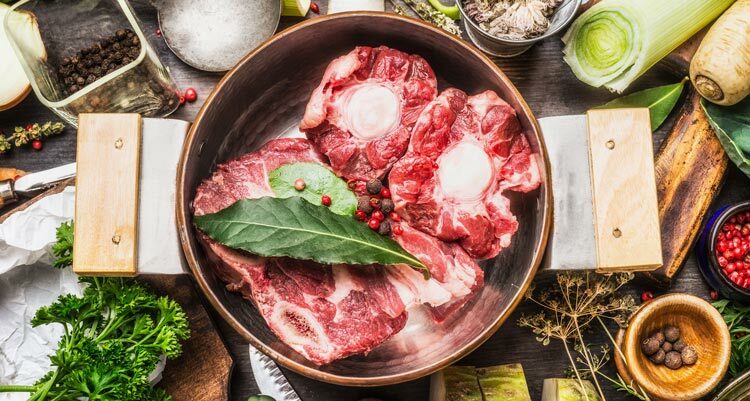 Bone broth was valued by traditional cultures because it’s packed with nutrients, easy to digest, rich in flavor, and loaded with restorative amino acids. Preparing bone broths was also a way to use every part of the animal. So nothing was wasted. In many ways, it’s a lost art. We’ve abandoned our traditional diet. And now it’s replaced with processed and packaged foods. Only now, centuries later, are we realizing that there are significant health benefits to consuming bone broth. Which is why this ancient technique is getting revived once again. Why is Bone Broth Healthy? Bone broth, or stock, is made from boiling and then simmering bones, organs, marrow, ligaments, cartilage, and feet over a couple days. Most recipes use an acid such as apple cider vinegar to help these components break down. The slow simmer causes the bones and other components to release a wide range of healing compounds that we don’t normally get in our diet. While it doesn’t sound very appetizing, the result is a tasty, yet nourishing broth. Our eating habits and farming techniques have dramatically changed since the pre-industrial era (before factories, mass-production, etc.). Today it’s a lot less common to see people using the whole animal. I bet if you mentioned liver or chicken feet to anyone, you’ll likely get a disgusted look in return. That’s because we have strayed from our traditional cooking techniques. So it sounds alien. 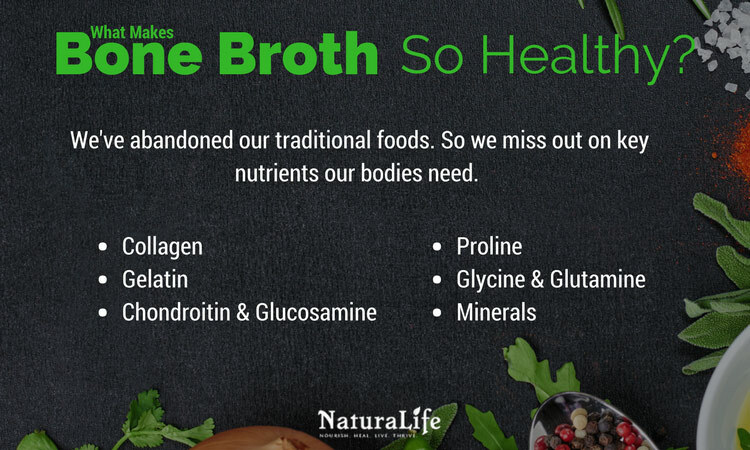 All of which can be found in bone broth. According to the researchers at the Weston A. Price Foundation, bone broth also contains minerals that are easily absorbed by your body (1). Normally your body has a tough time getting minerals such as magnesium, calcium, phosphorus, sulphur, and phosphorus. In bone broth, however, these minerals are readily absorbed by your digestive system. With all the nutrients found in bone broth, it makes perfect sense that it delivers some impressive health benefits. Click to jump back to the quick navigation. There’s a seemingly endless list of substances today that can cause damage to your gut. Between the pesticides in our food, overuse of antibiotics, and chemicals in processed foods, our gut is under attack more than ever. Fortunately, the gelatin found in bone broth fantastic for healing the gut. 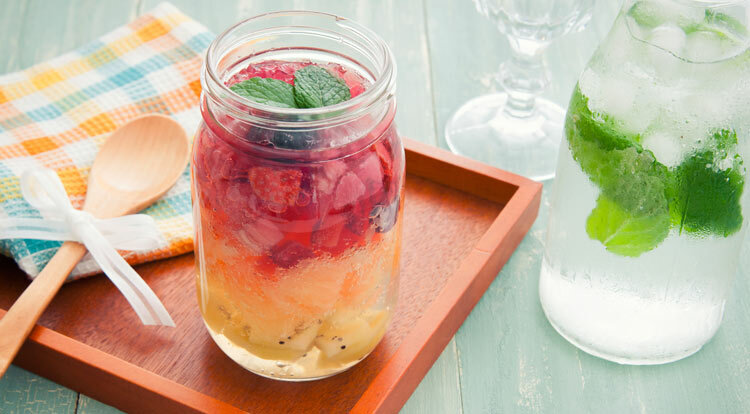 Gelatin heals the gut by repairing the intestinal lining and reducing inflammation caused by gut-related disease and food sensitivities. One report in the Journal of Clinical Gastroenterology, for example, found that gelatin can effectively boost intestinal health, integrity, and reduce intestinal inflammation (2). 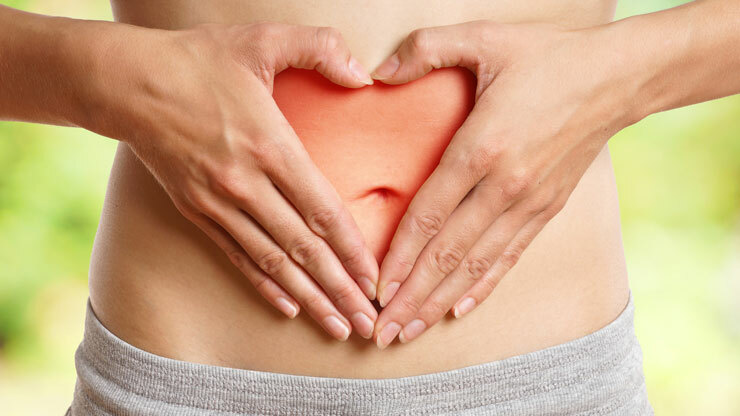 Studies have also shown that people have digestive issues often have lower levels of collagen (3). And as you may recall, collagen is another component of bone broth. The cartilage in your joints (along with some other structures) ensures your joints are well protected. But this cartilage degrades as we age. Over time, it can cause your bones to scrape up against one another every time you move. And as you could imagine, this causes a considerable amount of pain. That’s why it’s incredibly important to give your body the materials it needs to repair and maintain your joints. Collagen and chondroitin, for example, are some of the building blocks used to construct cartilage. When you introduce these substances to the body, your joints can heal. These joint-nurturing substances can make a big difference in your overall joint health and there’s evidence to prove it. One study, for instance, tested the effects of collagen on the joint health of athletes (4). After 24 weeks, the athletes noticed significant improvements in joint comfort and their athletic performance. The study authors concluded that collagen is an effective way to support joint health and prevent joint deterioration. What’s the number one food you crave when you’re feeling under the weather? I bet it’s a warm bowl of chicken soup. 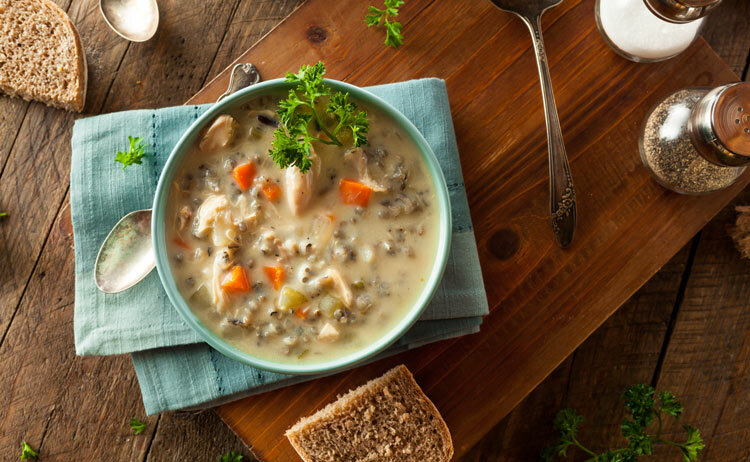 And it turns out there’s a real reason behind your chicken soup cravings: it boosts the immune system and soothes the gut. Researchers at the University of Nebraska Medical Center were curious if there was any truth behind the immune system and chicken soup connection (5). To their surprise, they discovered that the amino acids (building blocks of protein) found in chicken broth could reduce inflammation, improve digestion, and boost the immune system. In other words, bone broth can help you feel better and fight illness. So it seems there’s a reason your body craves soup when you’re sick after all! Collagen is a protein your body uses extensively to keep your skin healthy. Without it, our skin would gradually lose elasticity and its healthy color. In other words, you would look older. Normally our body can produce enough collagen to keep our skin healthy and wrinkle-free. Well…until our 20th birthday at least. According to the Scientific American, after the age of 20, our bodies produce “about 1 percent less collagen in the skin each year. As a result, the skin becomes thinner and more fragile with age” (6). The good news is bone broth is packed with collagen. And since most of us don’t eat collagen-rich foods, it makes bone broth the perfect remedy for aging skin. The cells and tissues in our bodies are constantly dying off as new cells take their place. But sometimes our bodies have a hard time keeping up with producing enough new tissues and cells. For example, if you completed an intense cardio or weight-lifting session at the gym, your body is going to need time to repair your muscles and several other tissues involved in the workout. If your body lacks the required materials to repair the damaged tissue, it’s going to take a lot longer to recover from the workout. Glutathione is one of those tissue repair materials, and bone broth is full of it. One study featured in the US National Library of Medicine found that glutathione plays a critical role in creating new cells, protein & DNA synthesis, and keeping the immune system in tip-top shape (7). Simply put, glutathione is a powerhouse in its ability to help the body regenerate new tissue. Today’s world is riddled with toxins. We’re constantly exposed to heavy metals like mercury, cancerous chemicals like glyphosate, and an overwhelming number of other toxins. Our bodies have natural systems in place to isolate these toxins and rid them from the body. But it can only handle so much. And since toxins are hiding around every corner, our natural detox system gets easily overwhelmed. This is when toxins start to accumulate in the body and cause big problems. Contains glycine which stimulates the production of glutathione—known as the body’s master antioxidant (8). Glycine also protects the liver from becoming oxygen starved, or hypoxia (9). Glutathione is also needed for the liver’s detoxification process (phase II) which is important for preventing toxin accumulation (10). We use our brain for so much, but how often do we return the favor by giving it nutrients to thrive? With a healthy brain, you can have a better memory, think more clearly, have stronger willpower, have monk-like focus, and much more. I think it’s safe to say anyone would be happy to have more of these qualities (including myself). Well, it turns out that bone broth has several compounds that can improve your brain’s functioning and mood. Glycine, for example, is one of the most important inhibitory neurotransmitters. Simply put, glycine can help cognitive performance, regulates how your brain uses energy, and some studies even suggested that glycine can dilate the micro vessels in the brain. This means glycine can improve circulation in the brain (11). Bone broth also contains chondroitin, which is shown to have an important role in regeneration and plasticity in the central nervous system (12). In other words, chondroitin can help with learning and memory. It’s possible that bone broth can help prevent or even cure mental illness. All thanks to its high glycine content. Glycine can help treat obsessive-compulsive disorder in adults (13). Glycine is shown to reduce the symptoms of schizophrenia (14). Depression is associated with decreased levels of glycine (15). Glycine is ultimately associated with relaxation, and decreased anxiety. 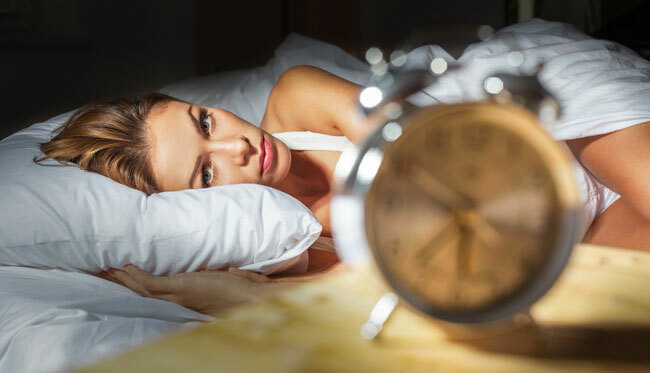 That being said, it makes sense to learn that studies find that glycine supplementation can significantly improve the quality of your sleep (16). 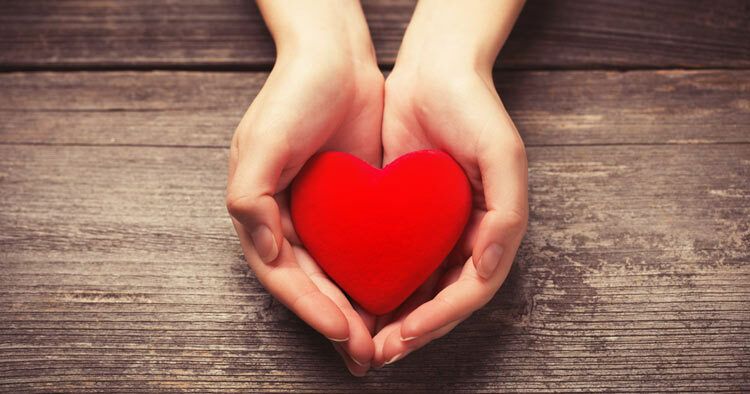 Heart disease is the leading cause of death in the United States (16). That’s why eating foods that improve your heart health is a surefire way to extend your lifespan. And bone broth is one of these foods. In fact, studies indicate that glycine found in bone broth can significantly reduce the severity of heart attacks (17). Glycine also counters the negative effects of methionine—found in meats and eggs. When your diet is high in methionine-rich food, it can significantly increase your risk of heart disease, stroke, mental illness, and vitamin B deficiencies (18). My point is, you can suffer from the effects of too much methionine if you don’t get enough glycine. Bone broth is chock-full of nutrients including a host of minerals and 17 different amino acids. Both of which are responsible for its rejuvenating effects. The exact nutrients found in bone broth can vary depending on the type of bones used, simmer time, and whether or not other ingredients are used. Arginine: An amino acid that’s essential for a healthy immune system and wound healing. It’s also needed for the production of growth hormone, liver cell regeneration, and the production of sperm. Chondroitin & Glucosamine: Chondroitin and glucosamine are some of the components that make up cartilage, which is the structure that acts like a cushion between joints. They are also a component of tendons and ligaments. Since they are the building blocks of these structures, chondroitin and glucosamine can significantly improve the health of your joints. In fact, studies show that taking a chondroitin and glucosamine supplement can significantly reduce pain from arthritis and improve joint mobility (19). But I usually recommend bone broth since it’s much cheaper than these supplements. Collagen: Collagen makes up for a whopping 30% of the protein in your body (20). It’s needed to build and preserve healthy cartilage, ligaments, tendons, bone, and skin. Which is why you will often see collagen supplements for joints or promoting healthy skin—as you age, the level of collagen in your body decreases which can make your skin lose its youthful look. Gelatin: When bones are simmered down to make bone broth, some of the collagen in the cartilage transforms (hydrolyzes) into gelatin. It acts very similar to collagen and it is the compound that’s responsible for the gelatinous consistency of broth or stock once it has cooled. Glycine: Glycine is an amino acid (building block of protein) that makes up for more than a third of collagen. It also acts as a neurotransmitter, which are chemicals that help the brain with communication and signaling. Glutamine: Glutamine is a conditionally essential amino acid. This means your body sometimes won’t produce enough of it on its own. It’s the most abundant amino acid in your blood and responsible for a wide range of functions including protein synthesis, maintaining a pH balance in your kidneys, a source of cellular energy, and much more. Proline: Proline is another amino acid found in the structure of collagen. Your body is only able to produce proline in small amounts. So if you don’t get proline through your diet, you could be starving your body of this important amino acid. A deficiency may not cause a lot of issues, but it’s good to give your body everything it needs to run efficiently. Bone marrow: Have you ever broken open a chicken bone or looked at the center of a beef bone? Inside you will see a deep red color substance. This is red bone marrow. It’s where new immune cells and red blood cells are manufactured. Towards the outside of the red bone marrow lies yellow bone marrow which contains healthy fats (21). Both red and yellow bone marrow are responsible for bone broth’s rich taste. Marrow is also associated with several health benefits including a decreased risk of heart disease, diabetes, and obesity-related cancers (22). Minerals: Bone broth is full of minerals including calcium, copper, magnesium, iron, magnesium, manganese, phosphorus, potassium, sodium, and zinc. Your body needs these minerals for a wide range of processes. Please note that bone broth won’t contain minerals unless it’s made with an acid such as apple cider vinegar. Depending on how busy our life is, you can either buy pre-made bone broth or make it yourself. Whichever decision you make, there’s a few rules you should always follow. Bones must be organic and pasture-raised (wild-caught if you’re using fish bones). If buying the broth, make sure it’s in glass or a BPA-free container. Make sure it’s slow-simmered for at least 24 hours. Use roasted bones rather than raw for broth. Raw bones will result in a disgusting broth in all honesty. I received a trial from them and they are my favorite brand of bone broth I have tried so far. Their flavors taste exceptional. Everything is high quality and they use all organic ingredients. Kettle & Fire has both chicken and beef broth. The company is endorsed by many health experts and bloggers. It’s all organic and pasture raised. If you’re one of the few people who can’t stomach bone broth, I highly recommend the protein powder by Ancient Nutrition. If you want to protect your wallet, I would recommend making your own bone broth. To save even more money, I usually save the chicken or beef bones from every meal instead of buying the bones. So if I make a whole roasted chicken, I’ll save and freeze the carcass along with the bones. Once I have enough bones to make a broth, I’m good to go. Alright, I’ve done plenty of rambling in this post, so let’s get right to the recipes. A shout out to the Weston A. Price foundation for this recipe. I’m a huge fan of what they stand for. Note: If you’re using the broth for a fast for issues like SIBO or leaky gut, I suggest NOT adding any vegetables or parsley. It won’t taste as good, but these vegetables have sugars which can defeat the purpose of a bone broth fast. If you haven’t already, roast the bones / chicken. If it’s just bones, roast them at 450°F for 15-20 minutes. If using a whole chicken, cut off the wings, and remove the neck, fat glands, and the gizzards. Cut neck and wings into several pieces. Place chicken into large stainless steel pot with water, vinegar, and all vegetables besides the parsley. Let it sit for 30 minutes to an hour. Bring to a boil and remove any “scum” that rises to the top. Reduce heat, cover, and simmer for 6-24 hours. Add parsley 10 minutes before removing it from the heat. If using whole chicken, remove the chicken and use it for other uses like sandwiches or chicken salad. Strain the stock to remove any particulates and place in the fridge. Once it cools, skim off the fat (I save this for cooking). Your stock is now ready to be consumed or used for tasty dishes! The process is similar for beef and fish stock, but if you want to learn how, go to the end of this article. Bone broth is a nutrient-dense food packed with an impressive list of health benefits. Unfortunately, you can’t just get any ordinary bone broth at to the store to take advantage of the health benefits. Most store-bought broths or stocks are filled with artificial flavorings, additives, and made with low quality ingredients. There are, however, a few brands that do produce high-quality bone broth (I mentioned them a few sections up). You can either get it from these brands or, make it yourself. Great article! Thanks, so much! Great post Cameron! Any way I could contact you directly with a question? Cameron… we cook raw bones into broth… how long can it be in the fridge and stay viable/healthy? If you meant that you keep raw bones in the broth prior to cooking, then I wouldn’t recommend keeping it there for longer than 3 days depending on the temp of your fridge (just to play it safe). Following the simmering process, however, I have kept broth in the fridge for about 5-6 days before using it all up. Hi Heather. I tried making a beef bone broth. I didn’t roast the bones–but will next time now that I read your article! I brought the pots to a boil, reduced the heat and let them simmer for over 24 hours, as per other instructions I read. The problem is, by simmering them that long, most of the water evaporated. So I added more. The result was a good tasting broth, but it was too watery to congeal. My understanding is a gelatinous broth is ideal. What do I need to do next time to ensure a really medicinal broth? Thanks in advance for your help. The long simmer will in itself result in a healthier broth. So you’re certainly on the right track. Quite often I’ll have to add extra water if too much evaporates as well–so that’s nothing to worry about. Sometime’s if the broth is too potent, I’ll even add a little bit of water towards the end to appeal to my personal preference for taste. I am not an authority, but I just made some and after roasting, put in a crock pot on high for 12 hours with the vegetables. Turned out great. Hi, love your bone broth post. I’m not sure where you live, but I am in California and the tastiest bone broth EVER that is pre-made and that I get from my natural grocery store is called ‘Butcher’s Bone Broth’ and it contains NO additives. It’s in a gelatin form and it’s found (cold) in the butcher department and contains only 3-5 ingredients: filtered water, organic turkey or chicken, organic carrots, organic celery, organic onion and it was simmered 24 hours before it was poured into it’s packaging. It’s perishable so it has to be kept refrigerated and you slowly heat it up over the stove before you drink it. I drink it alone or add it to my homemade soups. Depends on what you’re looking to accomplish. For example, when I was on an elimination diet and looking to heal my gut, I consumed it every day. For general health maintenance, I would imagine the body needs much less. I tried making bone broth few times before by boiling chicken feet or beef bones on my own simple way. I like your Bone Broth Recipe and the detailed cooking instructions. The number 1 instruction surprised me, now I know how to make the best bone broth. It’s like a new life for me. Sure thing! Happy to hear it helped. I am new to this. I started a batch yesterday and after reading your article I made a few mistakes. Can’t wait to make another batch. I have heart and vascular disease so I am trying to change my menu…lol Started awhile back making my own Kefir. Thank you for your article. It’s certainly a learning process. It took me quite a few tries to really make a great tasting bone broth! Best of luck. How much and how often does one have to drink the broth yo see benefits???? Can the brith be used in any soup recipe like wedding soup or vegetable soup???? It really depends on your goals. For general wellness, I shoot for 2-3x a week. But when I was trying to heal leaky gut, I drank a mug-full every day. And yes it can be used in any soup recipe! You just may have to modify the spices and flavors for it to suit the soup you’re making! Thank you for your very informative article. I have been diagnosed with yeast/fungal overgrowth and suspect I have leaky gut. I am also starting an elimination diet as a first step. How much bone broth would you recommend per day and for how long in order for it to heal leaky gut? Thank you for such a great article. I have osteoporosis. Does bone broth help rebuild our bones back to it’s natural state? It’s very possible that it can! But of course, there are several other important factors to consider with healthy bones including resistance training, vitamin K, vitamin D, calcium, and magnesium.